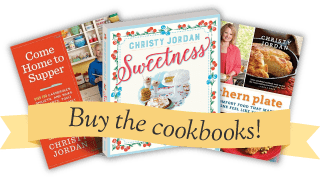 If you have a copy of my third cookbook, Sweetness, this pie recipe is on page 142. I want to stay by saying that this pie is about as Japanese as I am and I have no earthly idea where the name came from – but this is what my grandmother had written down as the title in her cookbook so that is what we are calling it. If you leave a comment about how this isn’t Japanese and I refer you to the first paragraph, here ya go. Saw ya coming. When I came across this recipe in Grandmama’s collection, I immediately stopped. The tell tale splattering across the page let me know this was a well used one, but having had countless meals at her table, I was confused by this not sounding the least bit familiar. On faith, I made it – and the first bite rewarded me with instant time travel back to their formica table. The memory was so vivid and so instantaneous that tears sprang to my eyes. I remember this pie. I have no idea what they called it or if I ever even heard the name beyond “pie” but I remember it – and it is wonderful. And I think you might need this in your life. The ingredients are simple and ones that could be found in kitchens of yesteryear. 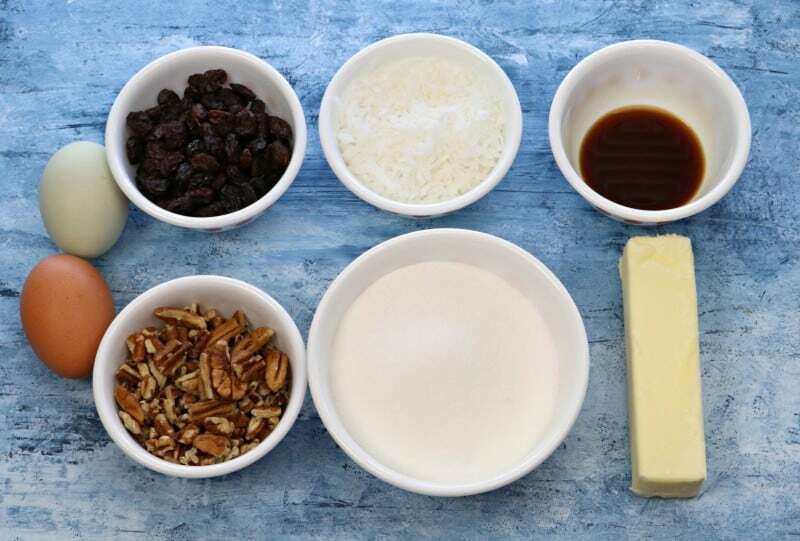 Raisins, Sweetened Coconut, vanilla, Butter, Sugar, Chopped pecans, and eggs. Dear Coconut Haters – I see y’all out there. All excited about this pie and then you saw the coconut and your noses scrunched up. I feel ya. No, not about coconut, I love coconut, but there are other things that half the world seems to love that cause me to inwardly recoil as well. I do try to keep the recoil as inward as often as possible though, for the sake of decorum. Shrimp, Stevia, Water chestnuts come to mind, just to name a few. ~shudders~ Before you fly to the comments and ask me what you can substitute for the coconut I have to tell ya, I have no idea. I’ve never made nor had this pie any other way. You could start by doubling the pecans. That would probably work fine. You could also try just leaving the coconut out and that would probably work, too. But dear friends who hate coconut, rest assured that I’m not about to try to convince you to give coconut one more chance just because I love it – because I’ve been on the receiving end of that argument far too many times in my life. You’ve made it this far and you don’t like coconut, and that is okay. But hey, you’ve made it this far in the post. Might as well stick with me to the end. 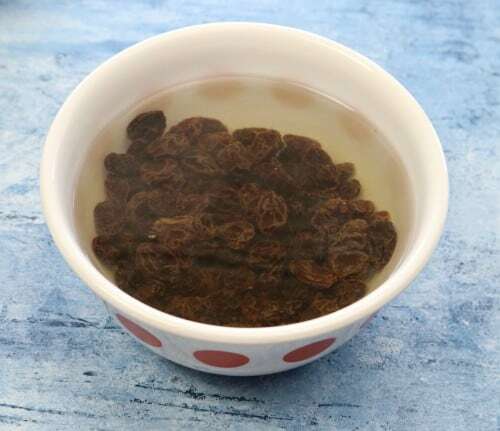 Start by placing your raisins in a small bowl and covering with boiling water. Let them soak five minutes and then drain and set aside until you need them in the recipe. Place your sugar and butter in a large mixing bowl and beat with an electric mixer until light and fluffy. Add all other ingredients and stir with a large spoon until well incorporated. I like to put my pie on a baking sheet, always do, no matter what kind of pie. It just makes it easier to get in and out of the oven that way. Bake at 350 for 35-40 minutes, or until it’s set in the center and doesn’t jiggle when you wiggle it. Don’t worry if you jiggle when you wiggle because we aren’t here to judge. Now at this point, you can serve it but it won’t completely set until it is chilled so I cover and refrigerate it a couple of hours. Oh mercy. This pie. This old fashioned, simple, incredibly delicious pie…it wants you to take a bite. Look at it, staring longingly at your fork. Won’t you welcome it into your home today? Preheat oven to 350. Place raisins in a small bowl and cover with boiling water, set aside for five minutes and then drain. 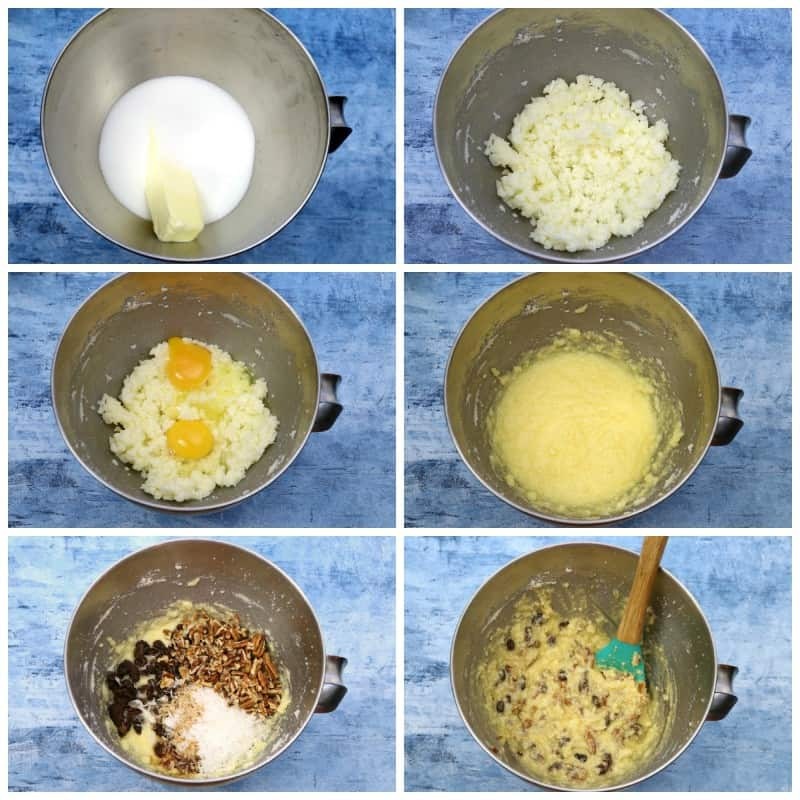 Cream together the butter and sugar in a large mixing bowl with an electric mixer until fluffy. Add eggs and beat again until well incorporated, 1-2 minutes. Add all other ingredients and stir by hand until well incorporated. Pour into pie shell. Bake 35-40 minutes, or until set in the center. Allow to cool completely and then cover and refrigerate several hours before serving. It’s a yummy pie! Just realized has similar ingredients as Japanese fruitcake– another oldie but goodie! I was thinking that,too, as soon as I saw the ingredients. Pretty sure that’s the reason for the name. Our “exotic” old recipes 😉 Hope you’re having a good day, Susan! How about Rice and Gravy Cake for exotic? It’s really Bisquick Velvet Crumb Cake, but my Granddaddy always thought it looked like rice and gravy, so the name stuck! 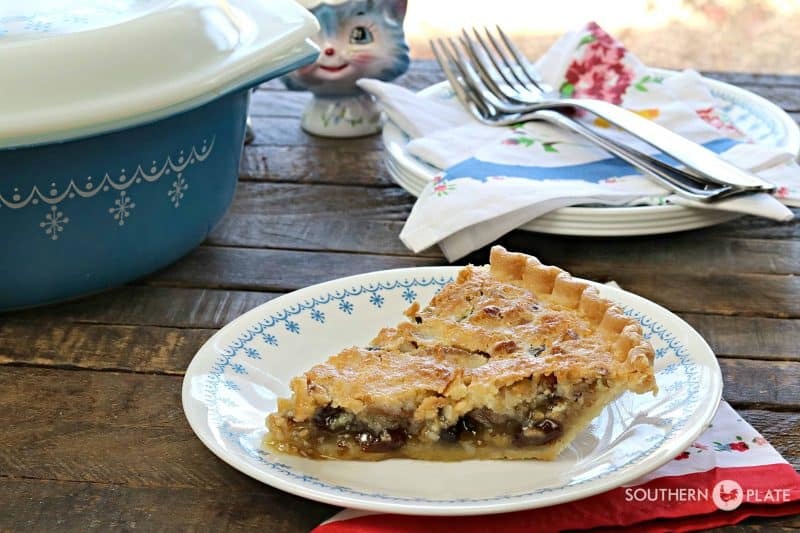 This pie looks good even with raisins! Think I’ll be trying it soon. Isn’t it funny how each family has their own names for things? love it!!! There is one thing missing from the recipe that is considered the “secret ingredient.” It needs 1 Tablespoon of white distilled vinegar. I don’t know why, exactly, but try adding it and I promise it will be over-the-moon good. Just trust me; I’ve made it both ways. Maybe is was called Japanese because back then we associated everything coconut with the Pacific, and the Pacific brought memories of the Japanese war. This looks amazing. Thank you for sharing it. I am not much of a baker but will give this a try! I got such a laugh about your comment about it not actually being Japanese and please don’t comment on the name! heehee, and just wait, they’ll show up eventually 🙂 I hope you enjoy the pie! My mother has making this pie for years. Only one differ is we use dates !!! Now, I’m the who makes it. I believe we had a teaspoon of white vinegar, too. Cindy from Harvest, Al. Ohh, I might have to try it with dates!! Thanks for sharing!! My Mummo used to make date bars and I haven’t been able to find her recipe anywhere (so it’s probably long-gone). I think this pie using the dates might come darned close. Thank you, so very much, for interjecting the date idea. Now I might just get tears in my old eyes, too! Hey Melissa! I haven’t seen you around in ages. Good to hear from you again and hope all is well! I found this info on a blog called Ivory Spring. It said the recipe dates back to colonial days. It also said…It is called “Japanese” because of the coconut flakes, and way back when, it was thought that coconuts came from Japan. It was purported that Martha Washington had it made for George Washington’s birthday one year. Oh my goodness! Well now that makes sense – and is very interesting! Thank you! My minister’s wife shared this yummy recipe with me years ago. Her recipe also included dates. Either way it’s delicious. Thanks for sharing it. Sounds wonderful! Thank you! 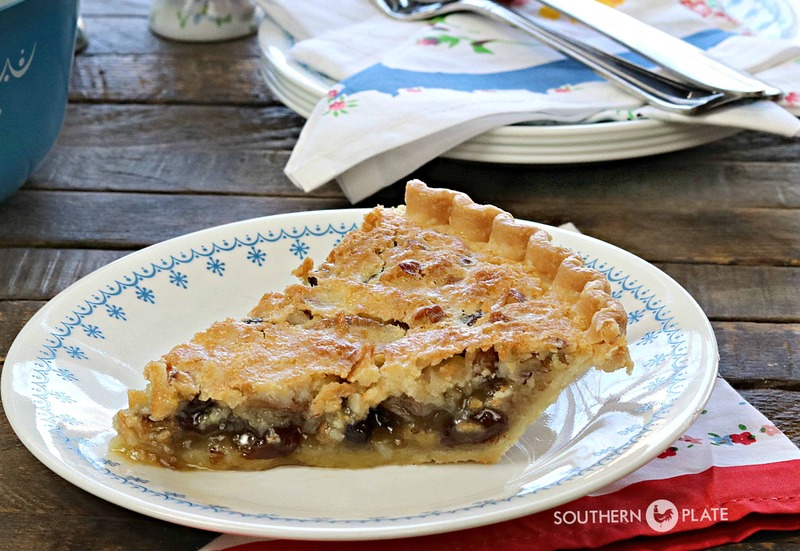 I have been thrilled to find that this pie is a heritage gem for everyone else, too! I’ve made it using dried cherries instead of raisins and my family LOVED it! I bet that was good!! So glad to hear it was a hit!! Sounds sorta like an Osgood Pie, except that one does not have coconut in it. I LOVE that one, so am sure I will enjoy this one too. Thanks for sharing! I hope you get the chance to try it soon Loretta!!! 🙂 enjoy a piece for her and cherish the memories it brings back!!! I have to make this…………….I have another Japanese Fruit Pie recipe but it is different from this and I never made it…………….this one I will try. Thank you. I hope you enjoy it Joanne!!! I have made this pie many times. I have it in a community cookbook. It is so good. I hope folks will give it a try. Easy to make, and always a hit. All the ingredients/flavors blend together so nicely! I’ll have another price of pie! I just wanted you to know that I think you are wonderful! I love your cute sayings and your down home humor. I absolutely love your recipes! I have made many of them. Thank you for all that you do. You are a delight!!! Thank you so much Diana!!! You just made my day. I appreciate all of your support more than you can imagine!! Thanks for sharing Karen, I hope people will try it as well!!! What is it called in your cookbook? My grandmother made this pie! She added some crushed and well drained pineapple to hers! Maybe that’s where the “Japanese” connection was! LOL You are so funny! And it is calling my name and I need it in my life right now, from the moment I saw the picture in my inbox! When I first saw the title I thought of the New Japanese Fruitcake, like the other comments. It is an old southern cake too, that is said to have been around for over 100 years and has nothing to do with Japan either. Your Grandmama’s pie does seem similar to an Osgood Pie, just with coconut. At first I thought it was a double crust pie, because of the way it looks on top. It looks so lovely and delicious. I will be making it this weekend. Thanks for sharing Christy. I can’t wait to hear what you think Jayson!! I made this pie yesterday and it is already half gone! It is absolutely delicious. Definitely a keeper, one I will make again and again. Thank you so much for the wonderful recipe Christy! My Grandmother called it a chess pie. She made a raisin one and a coconut one. When she passed away for some reason my two older aunts insisted I make them one every year near Christmas. One wanted the raisin and one wanted the coconut. Wish my Grandmother had thought to combine them like yours did. Would have been much easier. So wonderful to have all these old recipes. They were very inventive back in the day. Love your site. They were inventive!! I hope you get to try the combination sometime soon, would love to hear what you think!! This recipe is my mom’s “go to” pie when she needs a quick dessert to take some where. She makes sure she has the needed ingredients on hand. Never know when she’ll have make “THE” pie. It all gets gone, just an empty pie pan to throw away. Everyone loves this pie, and knows she usually will bring one. I bet she is always the hit at pot-lucks, and well loved by everyone around her!! First of all, I love your blog and wish you were my Southern daughter! Your pyrex collection is what drew my attention to your blog via some pyrex something or another. I’m so glad it did. Is there a possibility that this pie was once called “depression pie?” Moons ago when I was first married and dinosaurs walked the earth, my Hubby and I were youth pastors at a small country church. There was a member there who made a pie and they called it depression pie. Looking at the list of ingredients, I think they might be the same but can’t say for sure; that was 41 years ago! I made this pie once. Years ago. And I swooned when I tasted it. I still remember it. Thanks for the recipe so I can make it again. It is heaven! 🙂 I am so glad to hear you had the same reaction!! I hope you get the chance to make it soon!! Lol! Not this grandmama. Although if it had of come from another grandma that would have totally fit! Just gotta ask how you got the crimping on the edge of the crust to look so incredibly perfect… mine comes out so lumpy and irregular! any tips? Thanks! Girllllll, when I got to “Don’t worry if you jiggle when you wiggle because we aren’t here to judge.”…I LITERALLY CACKLED out loud!!! Too funny!! Definitely making this pie…simply because you don’t judge my jiggles! 🙂 I hope you love it as much as I do!!! Oh the memories!!! I have my mother’s hand written recipe card for this pie and remember her making it almost weekly. It was a family favorite…I have made it in the years since she passed and still love it. Glad to see it is a favorite of many other families as well! 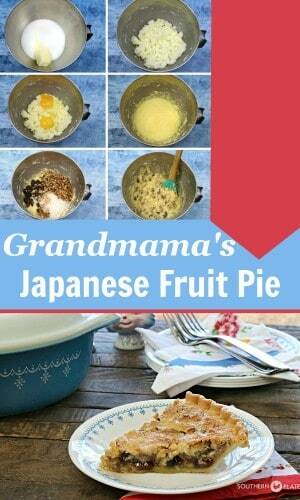 I vividly remember the first day I made Japanese Fruit Pie. It was a Sunday in 1972 and it was published in The News and Observer, a Raleigh NC paper. I cut the recipe out of the paper and made it that day. It is my favirite pie and I still have that small piece if paper I cut from the paper. Their recipe called for a teaspoon of vinegar. I have made it without the vinegar and its not as good. Also their recipe did not require you to soak the raisins. Brings back many memories. Thanks for sharing. I have never heard of or tasted a Japanese Fruit pie but that is about to change. Odd thing about coconut. For decades I was against coconut and did not eat it or use it in my cooking . I have had a change of heart or taste as I now like it. Maybe I am just weird but I have noticed several taste changes as I age. Somethings I thought were delightful no longer entice me and things I did not consider are now fine. I have not yet conquered my distaste for fish!!! Coconut fan here, especially toasted which is how I’ll make this pie. And, will use dried cherries as I’m not a raisin fan. Or, golden raisins. Lately, I’ve been wondering how God is going to do a LOT of things…He has a plan! This sounds like a must make, thanks! PS, I love how you incorporated the vintage Pyrex images in the Sweetness book! My Dad always talked about Raisin Pie but I never could find a recipe to make one for him. I wish he was still around to try this. I will have to make one in his memory! Christy, you are such a blessing for all of us! I have been waiting to see the recipe for the pie you referred to on Sunday. It was worth the wait! It sounds like something I would like. I will definitely make this! I’m at work at checking my email, shhh, don’t tell anybody! Saw your recipe and had to check it out. I have to say, the recipe has my attention because I love all the ingredients, but I just like the way you put the story and instructions out there. I was giggling…at work…and I’ll just say “it was Christy’s fault!” I appreciate you!